Damon & Elena. . HD Wallpaper and background images in the Damon & Elena club tagged: delena damon salvatore elena gilbert the vampire diaries ian somerhalder nina dobrev. 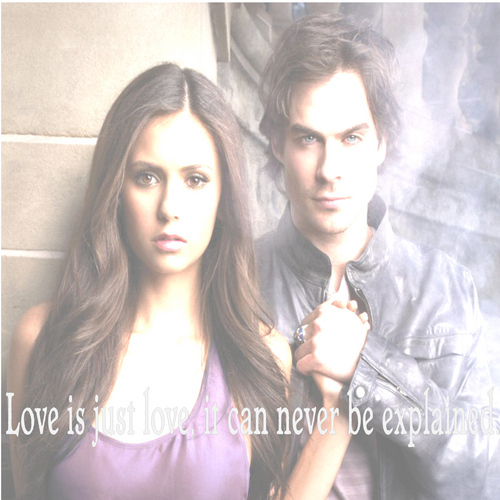 This Damon & Elena fan art contains चित्र, headshot, closeup, हेडशॉट, and क्लोज़अप. There might also be कॉकटेल पोशाक and म्यान.